Dining in Disney World is a fun and delicious experience. The character dining experiences add some extra magic to the meals. Both adults and kids have a good time at these meals and a lot of the characters are great at interacting with the guests. A good example are the step-sisters at 1900 Park Fare; they’re hysterical! 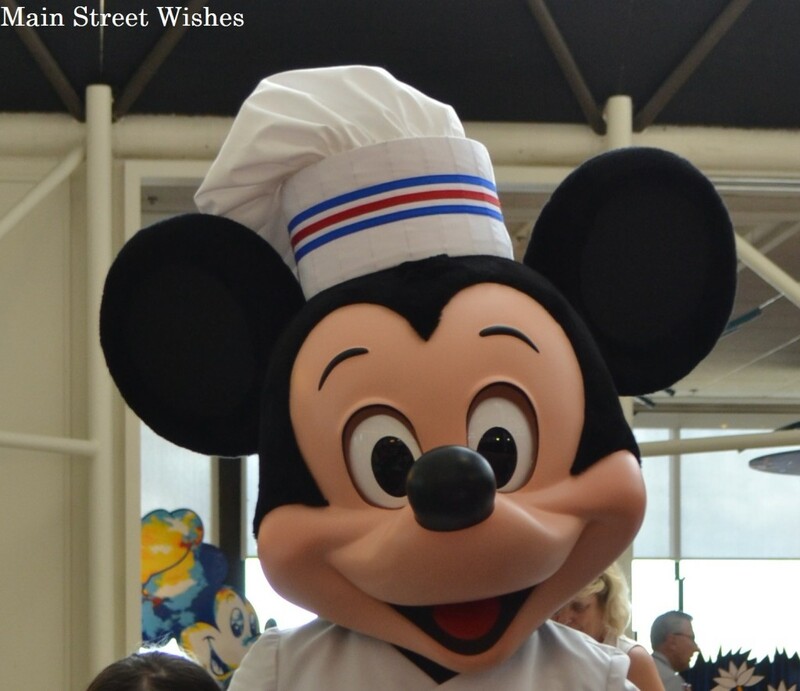 Character dining experiences are a favorite choice for meals among guests. Luckily, Disney has a fair amount of restaurants that offer character dining. During these meals, characters go to each table to visit with guests as they dine. Most will sign autographs and all of them will pose for pictures. 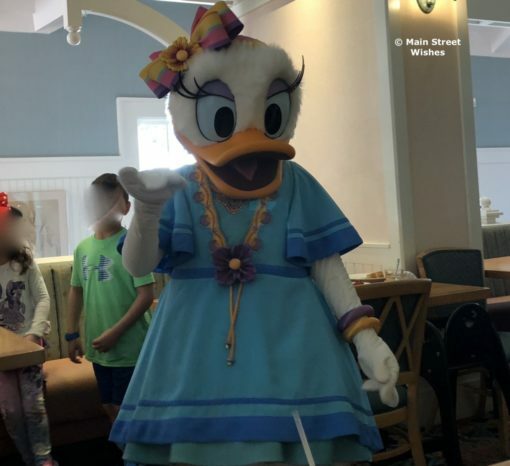 You can find a list of character dining under Planning Guides on the website, but I want to give a tip about character dining first. While the experience is fun, it’s also a helpful way to see how your child will react to the characters. When my daughter was two, we made reservations for Cape May Cafe (Beach Club) to test her reaction. Luckily she loved seeing Minnie, Donald, and Goofy, so we knew we were safe for the parks. If your child is scared of the characters at least you know and you won’t waste time waiting in line, only to make a quick exit because they are scared. Since the Cape May Cafe breakfast we have done a bunch of other character meals: 1900 Park Fare, Chef Mickey’s, Crystal Palace, Akershus, Trattoria al Forno, Cinderella’s Royal Table, and Garden Grill, to name a few. We’ve always enjoyed our time at the character meals and try to plan at least a couple for each trip. Our kids have always loved seeing the characters, but that’s not the case for everyone. So what happens if you child is afraid of the characters? If you child is really afraid and shows no signs of being okay with the characters they will skip your table. So you can still enjoy your meal without your child getting scared every time a character stops by the table. If there’s a chance your child will be okay then a character might spend some extra time with them. Our friends’ daughter was afraid of the characters at first, but Minnie sat next to her, gently holding her hand. Slowly, their daughter got used to Minnie and by the end of the trip was running up to characters and hugging them. So, if you are not sure how your child will react to the characters then I definitely recommend booking a character dining experience before you hit the parks. If anything, at least you get to enjoy a nice meal! 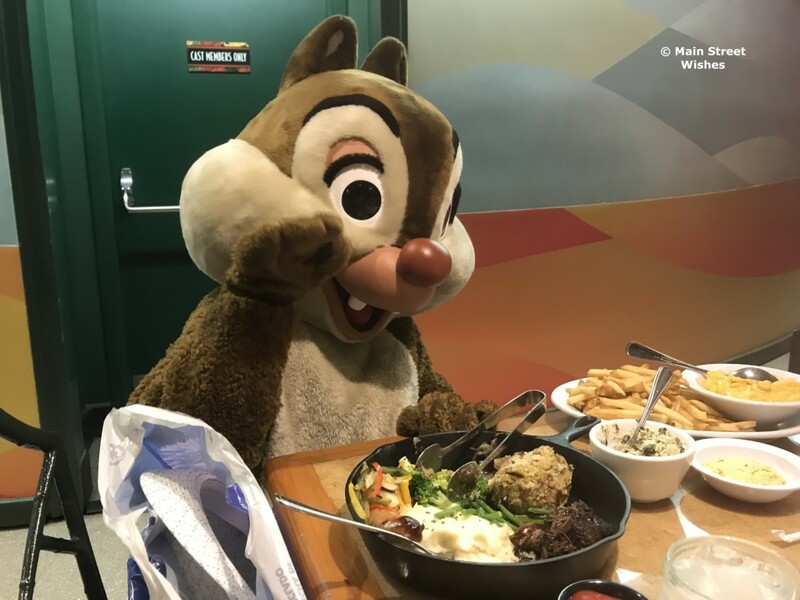 Most Disney Dining with characters are part of the sit-down meal plan. We did this summer 2017 and booked a character dining almost everyday of our trip! It was awesome! Another way to get children comfortable with characters is to start with a person. Mary Poppins, Wendy, or a princess that can actually talk to your child. They interact more ask your child’s name which makes them a little more comfortable before you take them to someone with a big costume that can only gesture.